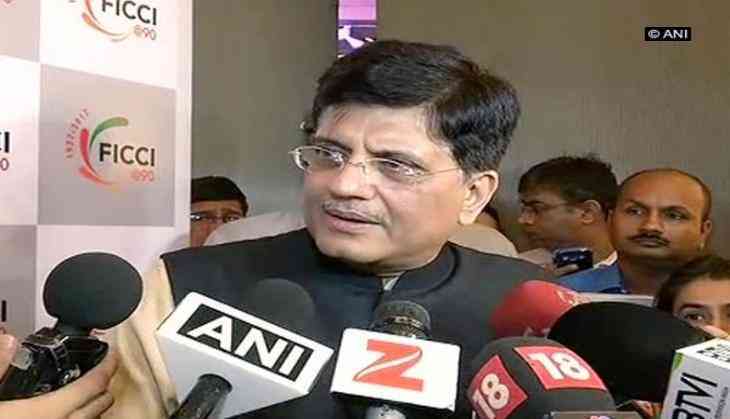 Bharatiya Janata Party ( BJP) leader Piyush Goyal has labelled demonetisation as a successful idea, lauding Prime Minister Narendra Modi's 'attack' on black money. Speaking to the media at the FICCI Business and Climate Summit, Goyal reiterated that people possessing black money would not be spared. "I have no doubts that demonetisation has been a success. I'd like to congratulate Modiji for attacking black money the way they did and making it clear that this government won't spare anyone, who is possessing black money. It took us three years to get rid of this black money," he said. He stressed that demonetisation has helped people in more than one way. "A number of shell companies have been revealed. If the money is in the bank, it is a part of the economy and we can use it for the welfare of the people," Goyal said. Speaking on demonetisation's impact on the GST, he said that nearly 66 per cent people have filed their GST returns, which is more than the limit the government had set. He also pointed to the fact that the circulation of fake currencies is under the radar now and it would be stopped soon. Goyal launched a scathing attack on the Congress and accused them of corruption and impoverishing the country. Goyal said, "Nobody has a better idea about black money than the Congress. We were known to be a corrupt nation at first. They have been involved in numerous scams across the years." The third annual Business and Climate Summit is underway in New Delhi, India. The summit aims to showcase business leadership in addressing climate change and highlight how business can help governments achieve climate objectives.